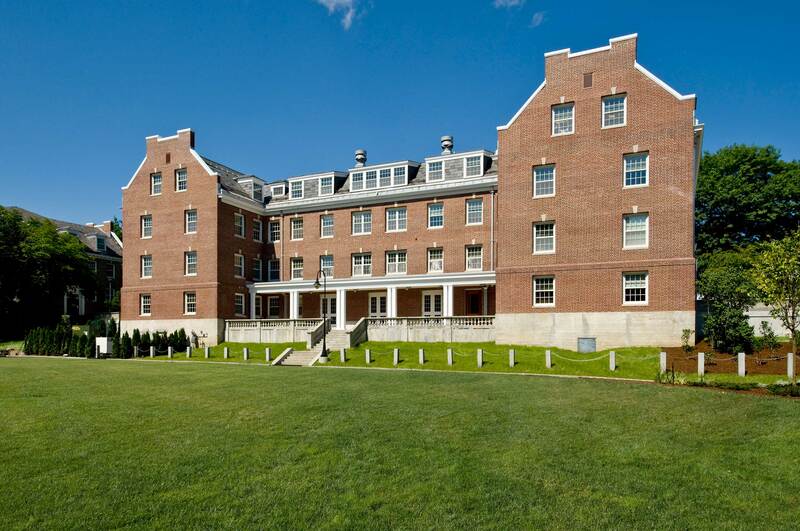 Built in 1915, Fairchild Hall is a prominent traditional style dormitory building, which now is an international-themed Hall for the university. 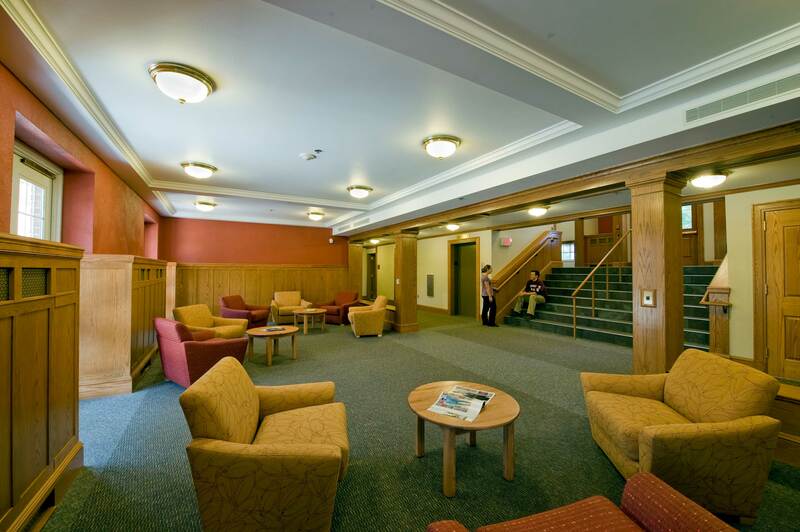 The building systems and amenities were updated to attract today’s generation of students, while also preserving and enhancing the building’s historic charm. 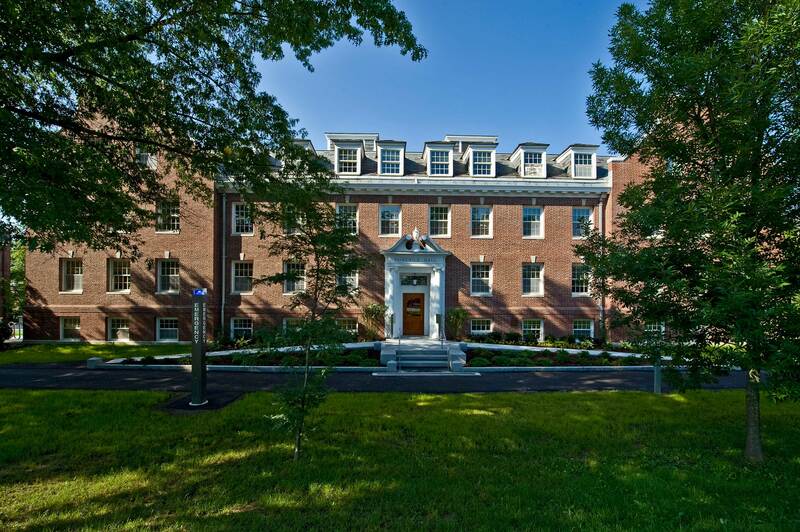 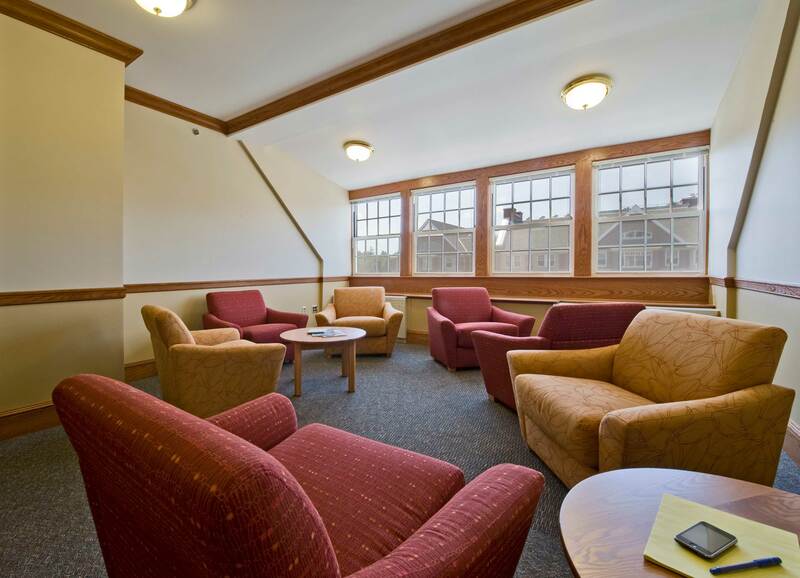 DiMella Shaffer was hired jointly with Cutler Associates under the design-build procurement process to complete a full renovation of Fairchild Hall. 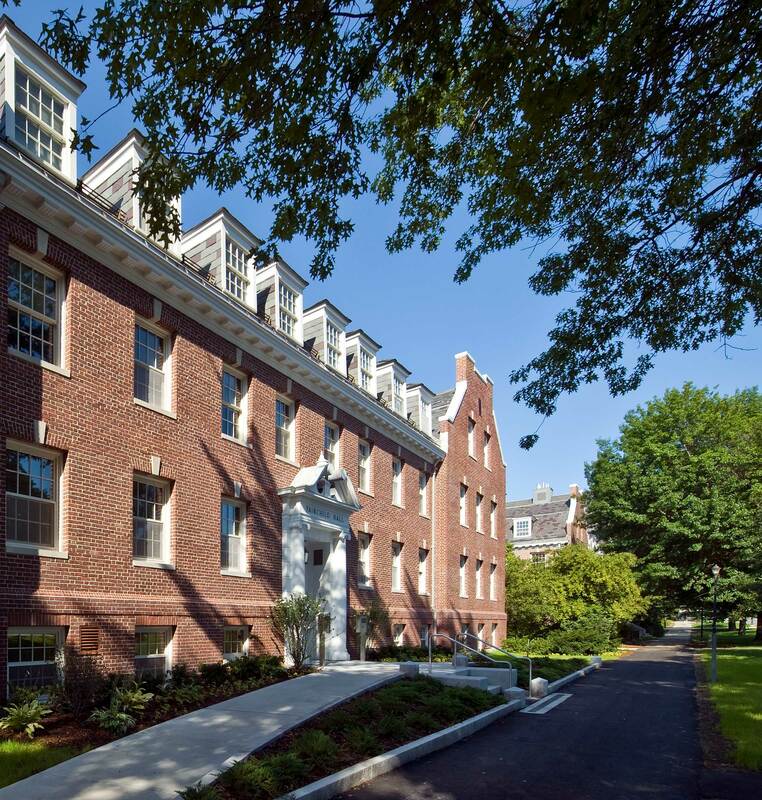 The design provides a coherent, consistent language of interior architectural details that are sympathetic to the rich Neo-Georgian Colonial and Neoclassical Revival exterior detailing on Fairchild Hall and its sister buildings along Main Street. 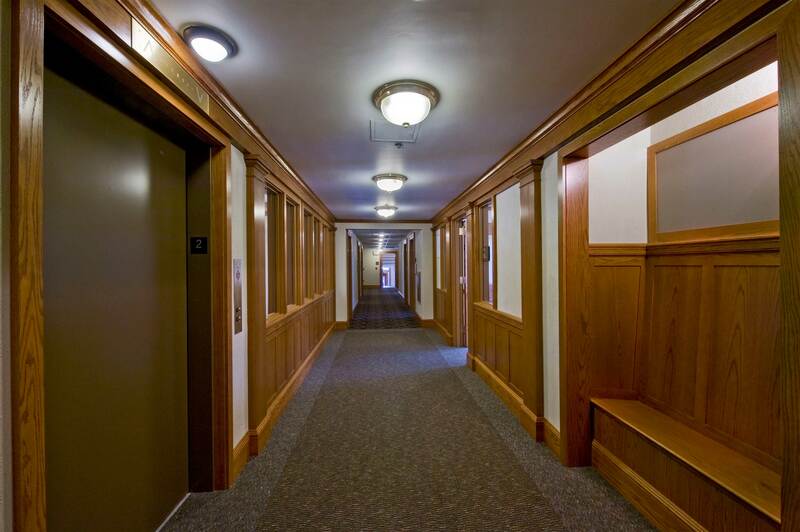 New building systems were introduced with minimal impact to bed-count, and building accessibility was improved by raising the grade at the main entrance and adding an elevator to the building.